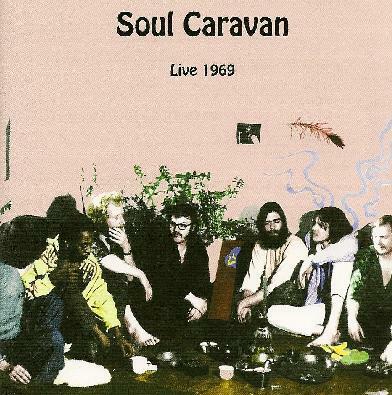 Recorded in early 1969, just prior to when the band had changed their name to XHOL Caravan. I've heard there's one other earlier effort from this German krautrock / experimental band - 'Get In High' ( ' 67), not sure if it's been reissued on CD yet or not. What we get here is an 'incomplete' thirty-seven minute live performance that is so well edited, I honestly could not tell which songs might have had certain parts cut out. Either way, sound quality is great. Starting off with Roger / Hammerstein's all-out jazzy "My Favorite Things", it dawned on me that this CD import would likely be a bit different than the other XHOL titles I've heard. Next up is the thirteen-minute "All Green" with (sort of) a psychedelic vibe to it - although it's a bit more jazzy than I was maybe expecting as so was "Skipping" but I have to admit the drum solo was somewhat impressive. Last two songs are covers - their well played remake of Otis Redding's "(Sitting On) The Dock Of The Bay" and their inspiring homage to James Brown with "Lick A Stick" - personally, I thought this tune was the best song on the entire CD. Personnel: Leon - vocals, Werner Funk - guitar, Klaus Briest - bass, Ocki Von Brevern (R. I. P.) - keyboards, Hansi Fischer - soprano sax, Tim Belbe (R. I. P.) - tenor sax and Skip Van Wyck - drums. Myself, I like some of the other discs by XHOL and their various / similar line-ups better - like 'Electrip', 'Motherf***kers Live' 2-CD or (also out on the Garden Of Delights label) 'Hau-Ruk'. CD comes with a 28-page booklet with a listing and an image of every GoD title put - releases numbers 1 through 117, so you can see what other label titles you don't have.